Rainbows from Telford South Division had breakfast with a special guest. 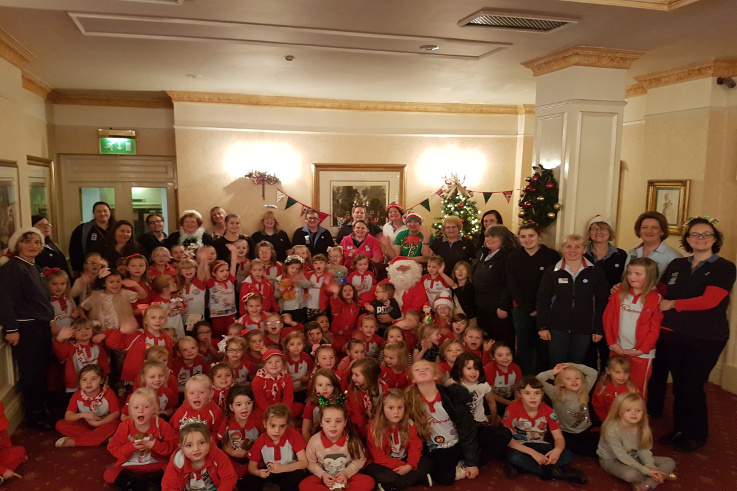 More than 60 Rainbows from across Telford South Division attended a special Breakfast with Santa event at the Park House Hotel on 2nd December. The girls were invited to have breakfast with their very special guest and were also given the chance to meet Santa as well as taking part in a sing-along. A great time was had by all and special thanks to the staff at the hotel who were happy to get into the spirit of things too by dressing up for the event.